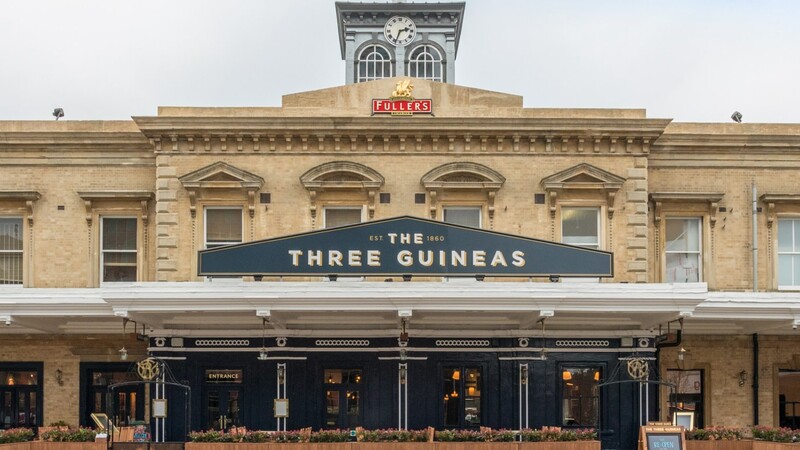 A Grade Two-listed landmark building next to Reading Train station, The Three Guineas was originally built in 1840 as the central railway ticket office, and designed by Isambard Kingdom Brunel the renowned engineer who conceived the Great Western Railway. Recently refurbished, the pub combines many of the traditional features of the building along side a modern and contemporary interior. A number of refurbished light fittings from skinflint, including our Eastern Bloc prismatic bulkheads, illuminate the stripped back vaulted cellar and the original exposed brick arches.